We are pleased to invite you to watch our series “Witness the Thunder”, short videos on the Torah portion of the week, holidays and other major events, taught by our senior educators and teachers. Each week a different educator brings his or her perspective on the subject at hand. 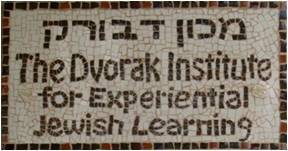 Our hope is that through these short films we can bring you the spirit, the learning and the special people of Hannaton to the rest of the Jewish community. You are invited to watch, learn, respond, comment and pass the videos on to others. We wish to thank the D. Dan and Betty Kahn Foundation for their support of this project. (Most videos now have English subtitles. Please click on “cc” in the video to see the subtitles).